Despite everything else going on in their marriage, Brad Pitt and Angelina Jolie are already selling off their assets. 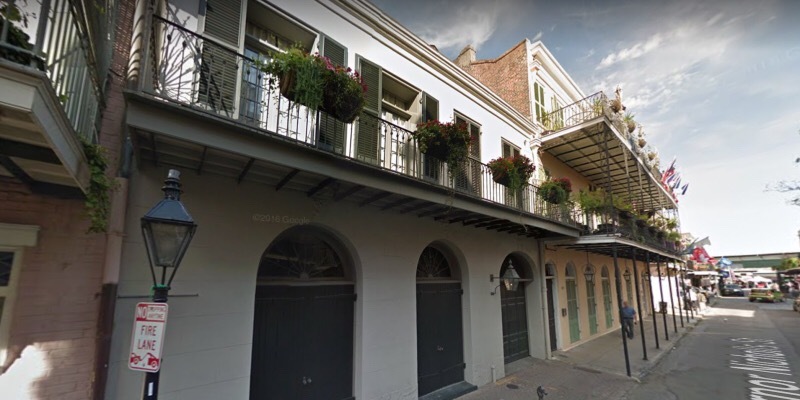 They have just sold the home that they owned in the French Quarter neighborhood of New Orleans, Louisiana. You would think they would have some other concerns to worry about right now than selling one of their homes. I get splitting up the assets, but their both embroiled in an F.B.I. investigation right now. After the initial shock of the news that the couple were splitting up, the news leaked that Pitt had had some kind of a meltdown on a private plane when the family was traveling back to the U.S. from France. Some reports said that he became physical and verbal with his 15-year-old son Maddox. Another report said that originally Pitt and Jolie were arguing, and Maddox jumped into the middle of it, and his dad then went off on him. Other reports say this was nothing more than a verbal argument. Regardless, Pitt has been allowed to see his kids twice since then, and Maddox wasn’t there either time. Whether that was his choice or Jolie’s choice is unknown. But all of this is being left up to the F.B.I. to handle. There haven’t really been any official reports, so much of what is being said comes down to hearsay and rumor. But the latest report had stated that Jolie had been grilled by the F.B.I. for four hours. Given that, isn’t it a little surprising that they took time out from that to sell one of their homes? But after a little research it turns out that Brangelina have had this house on the market for at least a year. So this comes down to just some poor timing for them. They have enough on their plate right now, but now they had to deal with the sale of their home. This makes me wonder if they attended the closing themselves or if they sent a proxy. Pitt and Jolie bought the house in 2007 after Hurricane Katrina for $3.5 million. He had been helping out a lot with the relief efforts. He established the Make It Right Foundation to create new housing for those in the Lower Ninth Ward. He was also there filming a movie in New Orleans. The home is a three-story mansion built in the 1800s. It’s listed as 7,645 square feet and has five bedrooms, three bathrooms, and two half-baths. The new owners picked it up for $4.9 million. I just happened to have an upcoming trip to New Orleans scheduled in a few weeks. One time when we were there we sought out Nicolas Cage’s home. We might have to find the Brangelina house this time around. It turns out it’s only a few blocks away from where we’ll be staying.